Home › Blog › How to protect 75kvdc high voltage cable 5m? How to protect 75kvdc high voltage cable 5m? A capacitance distributed along the length of the cable is formed between the 75kvdc high voltage cable 5m core and the metal shield layer. The capacitance is small, but the electric energy on the capacitance can not be ignored because of the high voltage. Therefore, special attention should be paid to maintenance. After pulling out the cable, discharge the core line to the ground, so as to avoid electric shock. 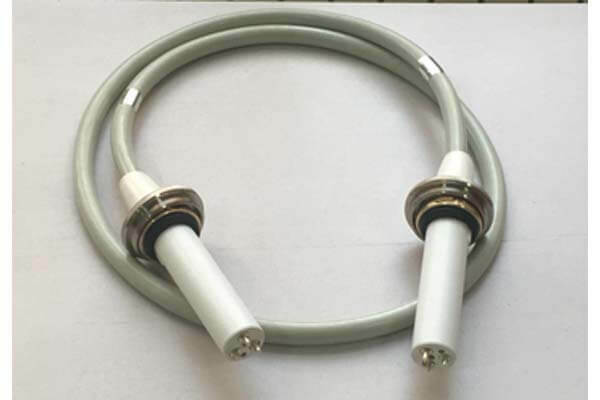 When using High Voltage Cable, do not bend or fold the cables substantially to avoid damage to the outer skin or core wire of 75kvdc high voltage cable 5m, and do not put them in areas with excessive temperature to prevent the melting and deformation of the rubber outer skin of 75kvdc high voltage cable 5m, which will have adverse effects on the core, directly damage the 75kvdc high voltage cable 5m and shorten the service life.